Most readers of this blog will certainly appreciate an out-of-season tropical post at the beginning of January, a post based on what was almost my best bird of the year 2012 – if it wasn’t for the Bearded Vulture I saw a bit later. 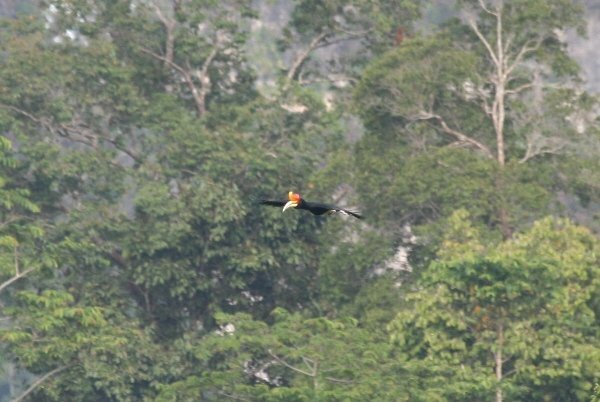 When I arrived at my survey site on Borneo, South Kalimantan, in April 2012, I had high hopes but little expectations of finding hornbills. 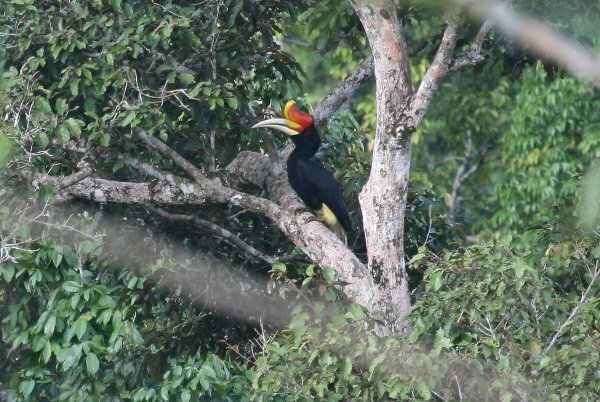 My surveys usually focus on industrial areas and their immediate surroundings, habitats not known to be frequented by hornbills in substantial numbers – any numbers, whatsoever. You see, these were the little expectations. However, hopes were high as I was fortunate enough to encounter quite a number of hornbill species in southern Africa ten years ago, and they are amongst my favourite groups of birds. 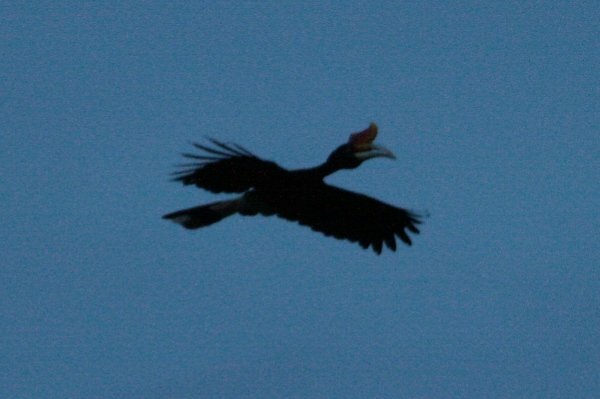 I like hornbills, those crow-sized little weirdos that raid camp sites and make for funny flight silhouettes. And I really, really hoped one of those little feather-critters would make an appearance, however short and distant that may be. Little did I realize… And boy, was I mistaken. First of all, my survey site was an industrial one, indeed. 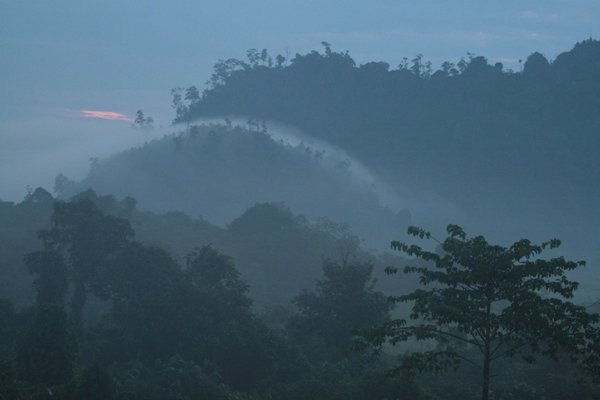 But it was located in very fine secondary forests, where I would eventually encounter four species of hornbill! 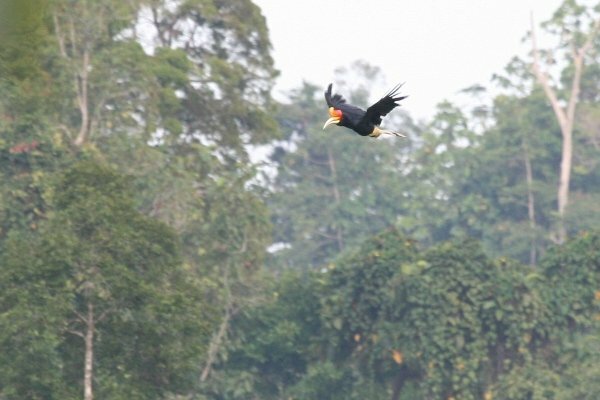 But most of all: Asian hornbills aren’t all like African hornbills – aren’t like them at all. You know, they just aren’t crow-sized. They are somewhat bigger. Somewhat significantly bigger. 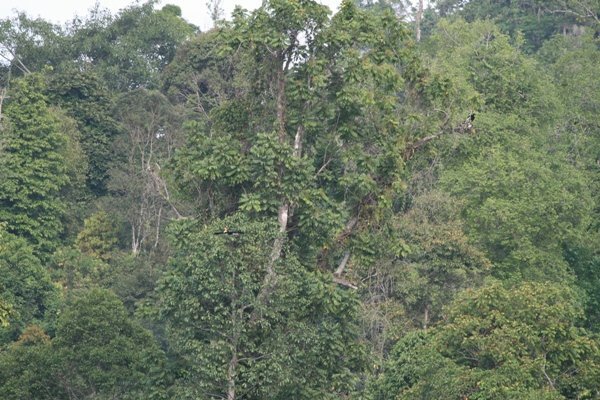 And the biggest one occuring on Borneo – the Rhinoceros Hornbill – is actually not a hornbill at all in flight, it is a flying barn door. Check out the other shots as well! @Sonja: yes, it is a very beautiful bird. I was so freaked out happy when I first spotted the pair, and to have them around me for hours was just plain insane. 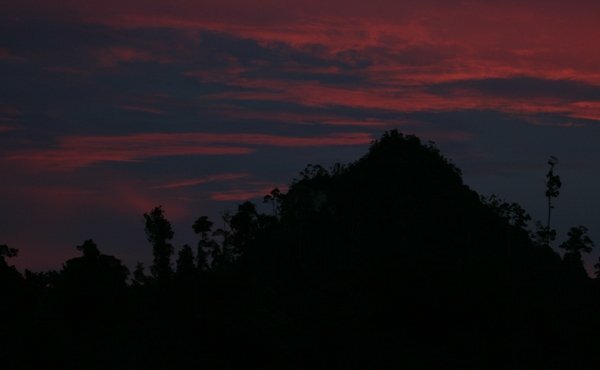 @Clare & Grant: you reckon next time I search for a big hornbill species, I’ll find a King Cobra? Well, I certainly wouldn’t mind. And I really think J. K. Rowling failed miserably in chosing owls over Channelbilled Cuckoos.